for $210,000 with 3 bedrooms and 2 full baths. This 1,258 square foot home was built in 1979 on a lot size of 0.18 Acre(s). Immaculate move-in ready Concrete Cinder Block/Stucco, Gable/Hip Roof, this 3/2 has endless potentials & an abundance of upgrades & updates including a 'Transferable Limited Life Time WarrantyÃ¢‚¬ VINYL fence installed in 2018. This one of a kind home is nestled on a sought out location with a nice sized OPEN lot w/plenty of room to grow OR add a sparkling pool/spa. BEST of ALL no HOA's! Home is open, bright, freshly painted in neutral colors. The Enclosed (under heated SQ FT) FL Room area overlooks the nice sized lot w/plenty of room for entertainment. This home features thru out: Large CERAMIC TILE in the LR, DR, Kit, Hallway & BA Rm, recently installed in 2019 neutral color carpet in ALL of the BR's. NEWER Architectural Shingles installed in 2018, Shingle Warranty ALL transferable from date of installation. Newer A/C, renovated bathrooms include new tile, Granite vanity & sink cabinet in one of the BA Rm, PLUS a roomy/spacious walk-in shower in the Master BA Rm. The Kit features beautiful sparkling neutral color Granite counter tops. This is a FABULOUS home for 1st time home buyers, 2nd home or a bountiful rental investment. This one of a kind home has sooo much potential w/upgrades & updates galore & is priced to sell quickly. HURRY this home won't last long!! 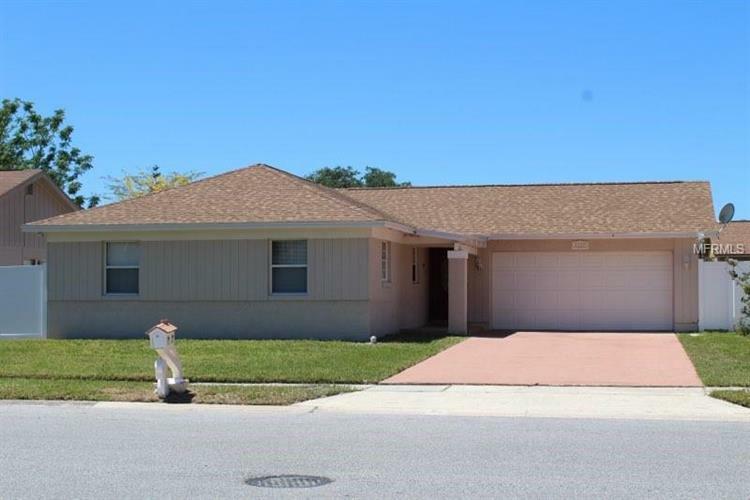 Home is mins to Toll Road 408 & 417, Colonial Dr, Mall, Shopping Centers, restaurants galore, grocery stores, Hospital, Medical Centers, Schools, etc. EZ access to: I-4, Valencia Community College, UCF, VA Hospital, downtown, OIA, attractions, etc.